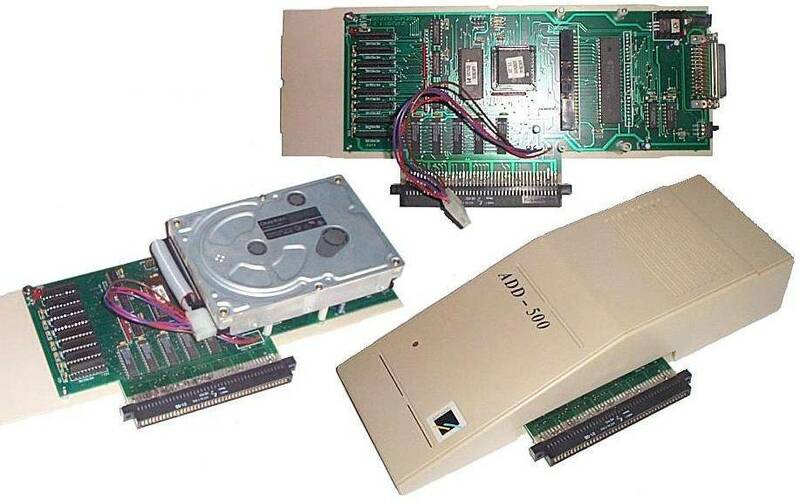 SCSI Controller which connects to the side expansion slot of the A500. It has an internal 50pin header as well as an external 25pin connector. It appears to be able to accept RAM in the form of ZIP chips but it is unknown how much, probably 2MB or 8MB.